Whether you’re seeking answers to some of life’s challenging questions, a respite from your busy schedule, or exploring the role of spirituality in your life, our loving church community offers you a place to prayerfully and actively nurture your relationship with God/Spirit. Mary Baker Eddy, the woman who over a century ago founded The First Church of Christ, Scientist, says in her book on spirituality, Science and Health with Key to the Scriptures, “The time for thinkers has come.” We live in an age when many are challenging the limitations of matter-based thinking. The Bible and Science and Health are the key texts used in our Sunday and Wednesday evening services. If you’re a “thinker,” you’ll find our church rich in resources for spiritual exploration. It can help you discover the many blessings of a relationship with the Father-Mother God, including God’s power to heal. From the moment an usher greets you at the door of our white Victorian building, you’ll feel love and support as you take a seat and listen to the inspiring musical prelude. The music sets a tone that prepares you for the spiritual ideas to come. Our church services are thought provoking and inspiring, reverent, yet friendly. We have a “come as you are” dress code and the emphasis is on brotherhood and love, not formality. 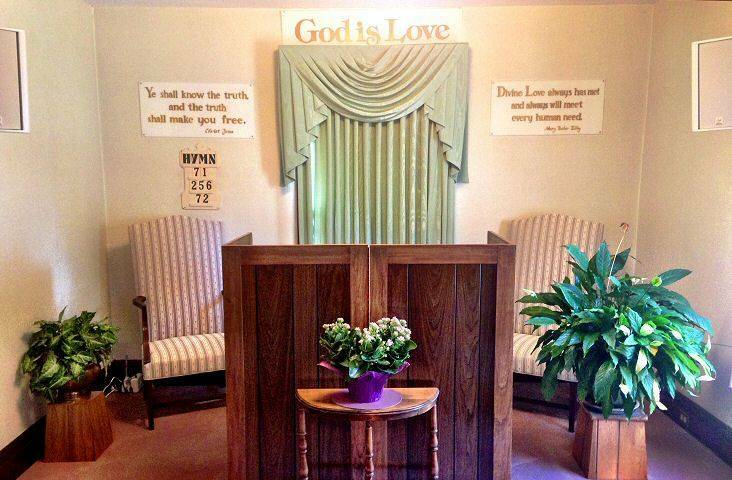 Winding up the staircase, you enter the cheery Sunday School room. Students explore Biblical stories through colorful visuals, discussion and role-playing Bible characters. The Ten Commandments and Beatitudes get special attention in the children’s education. Young people up to the age of 20 are invited to come and explore how God guides their lives and gives answers to their daily concerns. Accompanied by the piano, the children enjoy singing hymns during the opening and closing of Sunday School. Topical issues address the spiritual needs of our community and the world. Members of the congregation are invited to share testimonies of healing through prayer of problems of all kinds, including health, financial, and relationship problems. 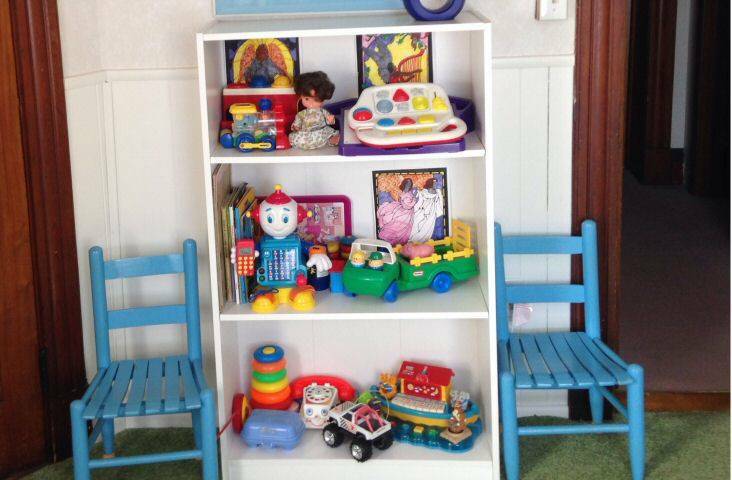 Loving care in our attractive children’s room is provided for infants and children not old enough to attend Sunday School. Our Children’s Room is open during both our Sunday morning and Wednesday evening services. 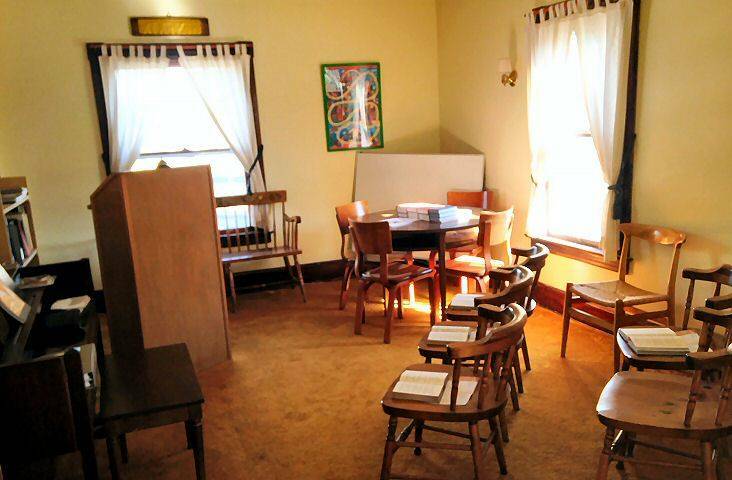 The Reading Room of the Glastonbury, CT Christian Science Church is open to the public. Here’s where the spiritual seeker will find a bounty of publications to help in his or her spiritual quest. The Bible, resource books, and Mary Baker Eddy’s, Science and Health both in English and Spanish can be purchased or read here, along with many other helpful items. Weekly and monthly periodicals publish current accounts of spiritual healing and thoughtful essays on spirituality written by Christian Scientists as well as clergy and lay people of all faiths. If you’re new to Christian Science, the Christian Science Sentinel or the Spanish Herald of Christian Science may be especially helpful in making a connection with fellow seekers in life’s spiritual adventure. 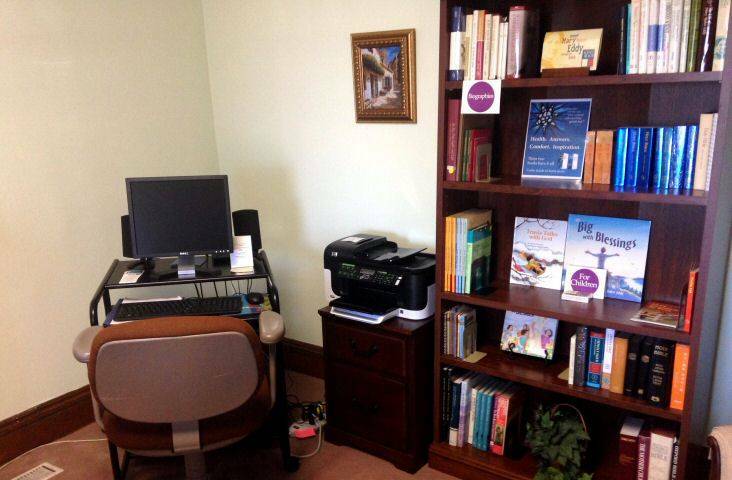 A separate study room provides a quiet and comfortable place to read and gain inspiration and healing. Reference books line the shelves and there are Sentinels and Christian Science Journals on the tables. Perhaps the most important aspect of our church is not its size, its beauty or location, but its loving, supportive atmosphere. Why not set aside some time this week for the “things of Spirit” and come see for yourself! 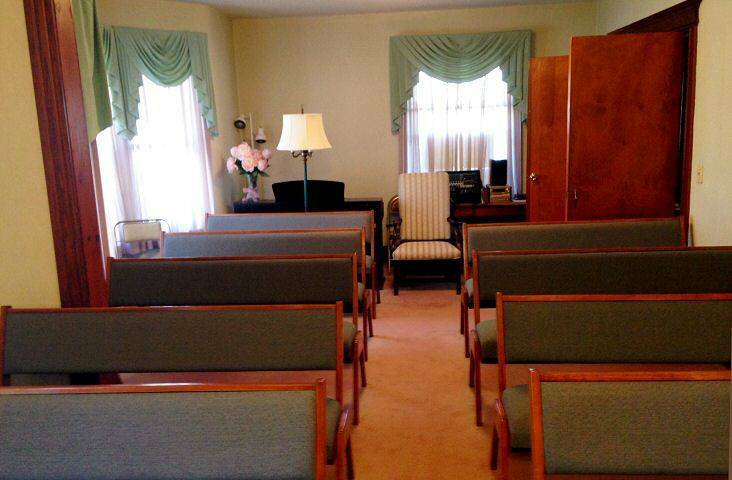 The Reading Room is also open briefly after each church service.